Have you found the right mentor or mentee yet? Finding the perfect mentoring partner is half the work! The real rewarding work begins when you have your first official meeting. Most entrepreneurs come into that meeting fully energised, with a lot of ideas. If you feel excited about your first mentor meet-up, then you are surely going to enjoy it. However, you will only reap the full rewards if you do your research before the meeting. Going into any business forum unprepared is a big no-no, and it just means you won’t get the most out of the situation. Whether you are the mentor or mentee, here’s how to ace your first mentoring meeting. Advisors may lack textbook knowledge about their mentee, but should know the basics about his or her business. You should have a working understanding of the industry that your mentee is working in daily. Essentially, having knowledge means knowing the latest news and updates about that industry. Reading news articles or talking with industry experts is a great way to stay up-to-date. Aside from knowing the latest essentials, you need to know basic facts about your mentee. Information about their company such as the size and growth over some years as well as your mentee’s educational background are good places to start. You can start with a simple phone conversation before an initial meeting to find out these basics. This way, you already can carry valuable information into the inaugural meeting that may save time and help you in bonding with your mentee. Once you decide on a teaching mentorship, it is important to know your limits and aims. Are there things that you just won’t do with your mentee? Please come up with some relationship guidelines before the meeting to discuss with your mentee. You should consult with your mentee about the joint rules and list what limits that they may have for you. Things like whether certain pieces of information relayed between both of you should remain confidential or what behaviors are off-limits within the confines of your relationship are important discussion topics. Before ending the first meeting, please also discuss how regularly you will contact your mentee (weekly, biweekly or every few days.) Also, you must define what times (day, evening, weekends) are okay for your mentee to contact or not contact you. Then, you must talk through what communications methods are best for reaching you. Do you loathe long phone conversations? Do you prefer emails? Your mentee should have a clear understanding of how often and through what channels that you will communicate with them. After establishing the dos and don’ts during your first meeting, then come up with what you want to get done during each succeeding meeting. Do you want to receive an overview of your mentee’s recent problems and successes? Should you schedule minutes for updates on major changes in his or her business? When should you set aside some time to teach certain steps to help them to reach a goal during the meeting? Those above questions are ones to think about before your meeting, so you make the most of it. What is it that you need from your mentor? Going into your initial meeting, please think through your specific needs and expectations for the relationship. Are you looking for a mentor who can help you to find specific talent for your business? Should your advisor know a second language or know certain cultural traditions to navigate your business? Should your mentor have a strong sales background or written communication skills? You must figure out what it is that is most desired in a mentor. That way, you can truly align yourself with the right match. And along the way, assess how your mentor is meeting your needs and expectations. Mentors can appreciate feedback, so it’s okay to constructively and positively share ratings about your mentor. No one will know your goals better that you! Be prepared and create a list of your company and mentorship-related goals. You can write down your aims for growing your company’s staff, bottom line or overall presence in your particular field within a certain period of time. But don’t leave out things that may seem insignificant at first thought. If you want to commit to at least a year-long mentorship, then add that to your list. And if you want your mentor to turn into a friend, then that’s okay to write down on a piece of paper, too. After you pick actionable goals, go over steps to reach your aims with your mentor. 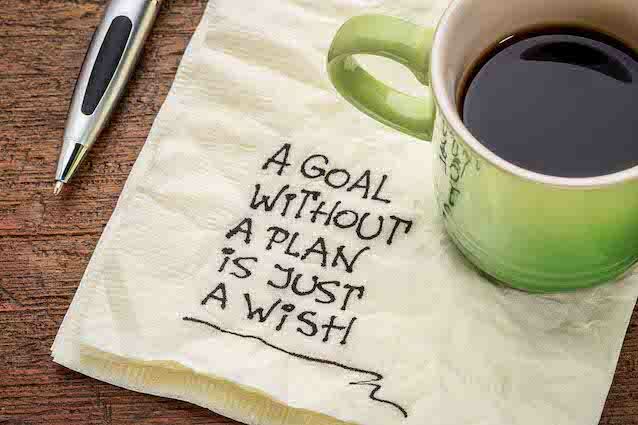 Go through your goals one-by-one with your advisor and outline a plan for meeting each one. Don’t forget to give yourself a deadline for each goal. Before meeting, jot down a list of questions for your mentor. But try to make the questions as specific and straight-forward as possible. Once in your meeting, ask away. But pay close attention to the answers and ask follow-up questions if needed. You want to make sure to have a clear understanding of each answer. And when your fingers get tired from writing down all the great gems that your mentor tells you, a recorder comes in handy. A recorder is wonderful because it allows you to recall information with just a touch of a button later on after your meeting. You can easily access a recording app on your cell phone or buy a standard recorder. But either way, it’s a worthwhile investment. You will always have your mentor’s wise words with you. If you haven’t found a mentor or mentee yet, but feel like this is exactly the kind of support you need or want to be offering, check New Shifts now for a suitable match. Then, you are on your way to start prepping and planning for your first mentorship meeting!